In many countries like Singapore, the climate is continually hot and humid so the good way to cool down in such a tropical weather is consumption of nourishing and cooling watercress soup. A smooth, creamy and delightful watercress soup is simple to prepare, and it is also packed with full of flavor. Watercress not only contains vitamins and anti-oxidants, but it also has detoxifying and cancer-preventing properties. Cooking any food at home has many benefits, like get healthy food, save time from going outside, no extra charges of packing and delivery, etc. Enjoy real and delicious taste of watercress soup by making it at home. It takes very less time to prepare, as well cooks in one pot which means less clean up time. 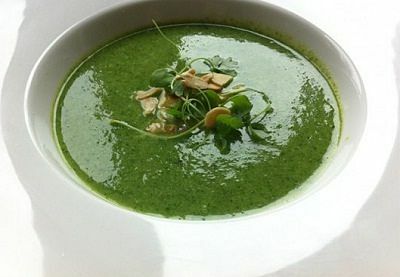 Simply take a look here on different kinds of easy watercress soup recipes, and try the one whichever seems best to you. The King of Vegetables, brinjal is not liked by everyone despite of being nutritious. This vegetable is scientifically categorized as fruit because of the seeds but it is used as a vegetable in cooking. It is among the most versatile and affordable vegetables. It is known by different names in different countries for example it is recognized as “Aubergine” in Britain & France, “Melanzane” in Italy and “Eggplant” New Zealand, United States, Australia and Canada. It belongs to nightshades family of vegetables such as tomato, capsicum and potato. Eggplant has a host of essential nutrients that help to treat and prevent several serious conditions. Get a quick view of nutritional value and benefits of brinjal in the following article. Hygiene is the most important thing than anything else in our life. It is really impossible to lead a healthy life under the unhygienic conditions. Being unhygienic will easily make a person ill, as he/she is highly exposed to several different infections and diseases. Nowadays, people have become more conscious about their hygiene needs. They give special attention to personal hygiene and keep themselves as well as their homes perfectly clean. However, many such people are unaware of the fact that a lot of dangerous germs and bacteria are waiting outside their home to attack them. All public places like shopping centers, supermarkets, and malls, where many people gather, are filled with varieties of invisible viruses and bacteria. This means, even shopping can be a great health hazard. 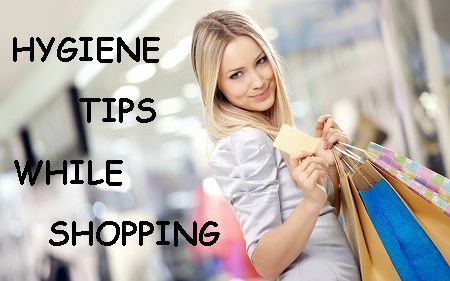 If you really want to prevent those germs while shopping, then follow some useful hygiene tips given below. One of the greatest advantages of shopping at malls is that you can try out the clothes and verify its authenticity before deciding to make a purchase. This means, almost all items that are on display in the mall have been surely worn by people with varying standards of personal hygiene. Hence, these new clothes may get contaminated with dozens of germs and bacteria. So, every time you bring new clothes home, make sure to wash the clothes in warm water, and tumble it in the dryer for 1 cycle to kill any remaining microbes. Moreover, you can always ask the salesperson to provide you a fresh piece. Many people don’t pay attention to the racks where untouched fresh pieces of clothes are kept. The month of October has already begun and the Halloween festival is right round the corner. Every year on 31st October, people from all over the world celebrate Halloween with great zest and enthusiasm. When we think of Halloween, the first thing that strikes our mind is that weird glowing pumpkin head. People carve a face on the front of a pumpkin and then place a lit candle inside it. This decorated pumpkin, also known as Jack-o'-Lanterns, is later placed on the home’s doorsteps after dark. It is believed that these pumpkins will scare away all the evil spirits and ghosts from their home on that night. However, there are many people who use these great pumpkins only for decoration purposes. They are unaware of the fact that these pumpkins are one of the most nutritious fruits available. It is a treasure house of various essential vitamins, minerals and antioxidants. Both flesh and seeds of the pumpkin are fully loaded with disease-fighting nutrients and it offers numerous health benefits. 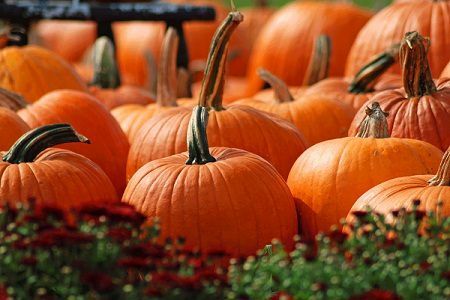 Let’s take a look on some of the important health benefits that are provided by pumpkins. 1, Pumpkins are a good source of carotenoids, the compounds that provide the pumpkins their bright orange color. Foods rich in carotenoids have been shown to greatly reduce the risk of cancers like lung cancer, bladder, colon, breast, cervical and skin. The carotenoids have also the ability to prevent heart diseases, cataracts and macular degeneration. Moreover, it can really boost your overall immune system.